In 2016 the Imperial Treasury of Vienna presented an exhibition entitled, "Praise of God: Ecclesiastical Textiles from the Age of Maria Theresia" which was an exhibition of 18th century vestments that are rarely seen due to conservation concerns. 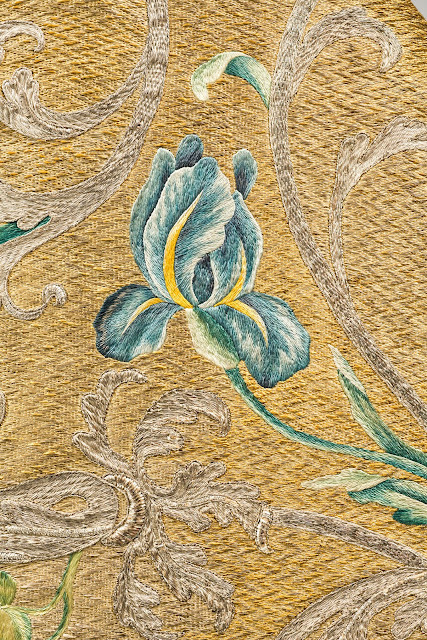 The treasury comments that "the majority of these precious textiles were donated by Emperor Charles VI (1685-1740), his wife Elisabeth Christine (1691-1750) and their daughter Maria Theresia (1717-1780)." 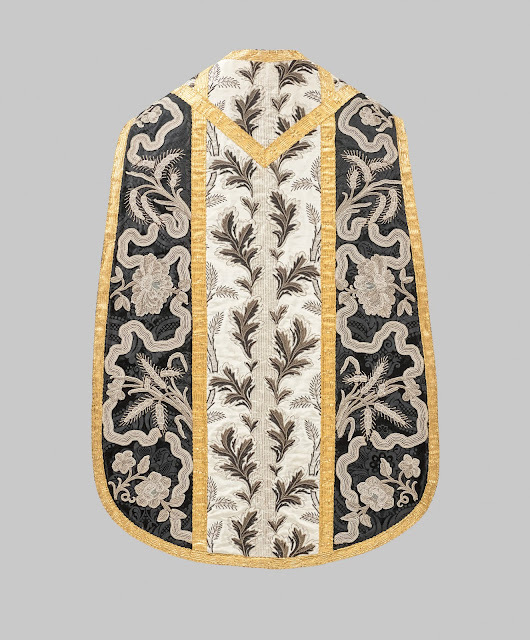 At the time it was customary to use costly French or Italian fabrics, lavishly embellished with embroidery, for such vestments. Imperial robes were also occasionally reworked into such robes. 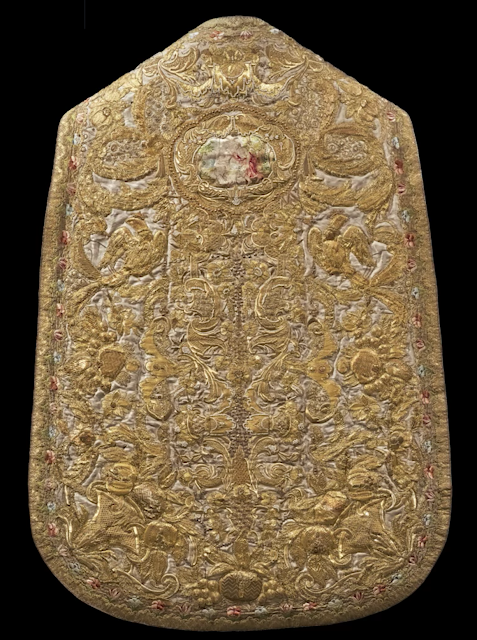 The exhibition offers insights into the wealth and exceptional quality of the Imperial Treasury’s holdings of precious vestments, which reflect the Pietas Austriaca, the deep piety of the House of Habsburg. 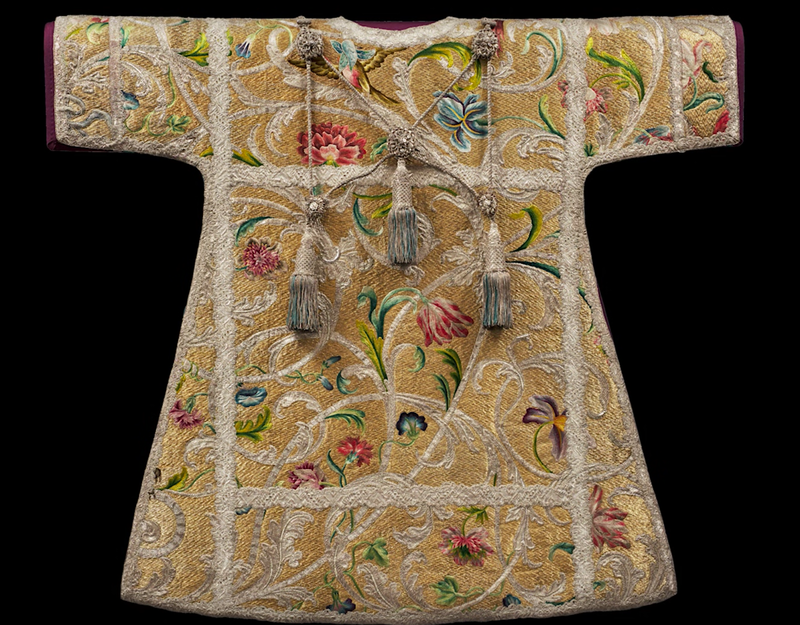 Many of these precious garments were donated by members of the House of Habsburg who for centuries ruled the Holy Roman Empire. 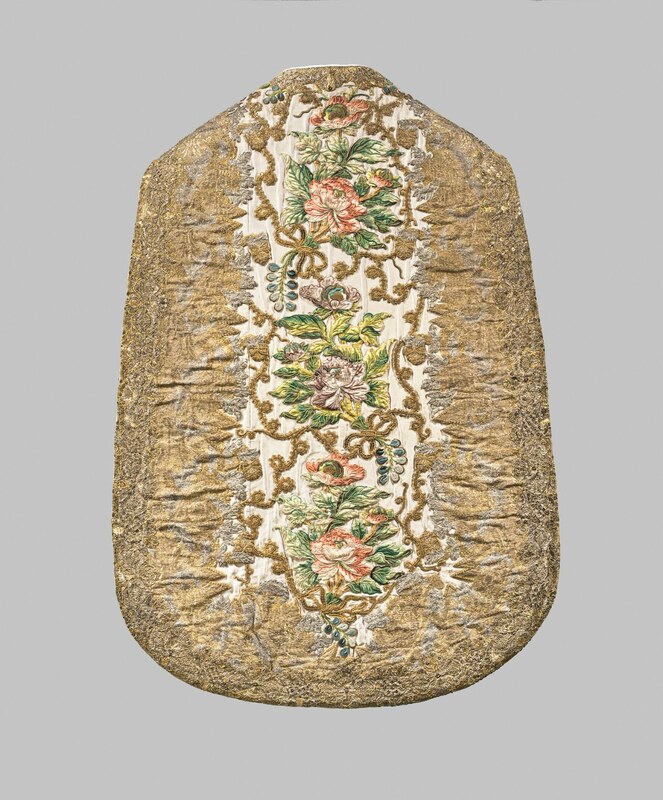 The pomp and circumstance associated with this high office is reflected in the costliness of these sumptuous textiles, the finest of which date from the Baroque, the apogee of Habsburg piety. Unlike mediaeval ecclesiastical textiles, baroque vestments generally feature not figurative but purely ornamental decorations. 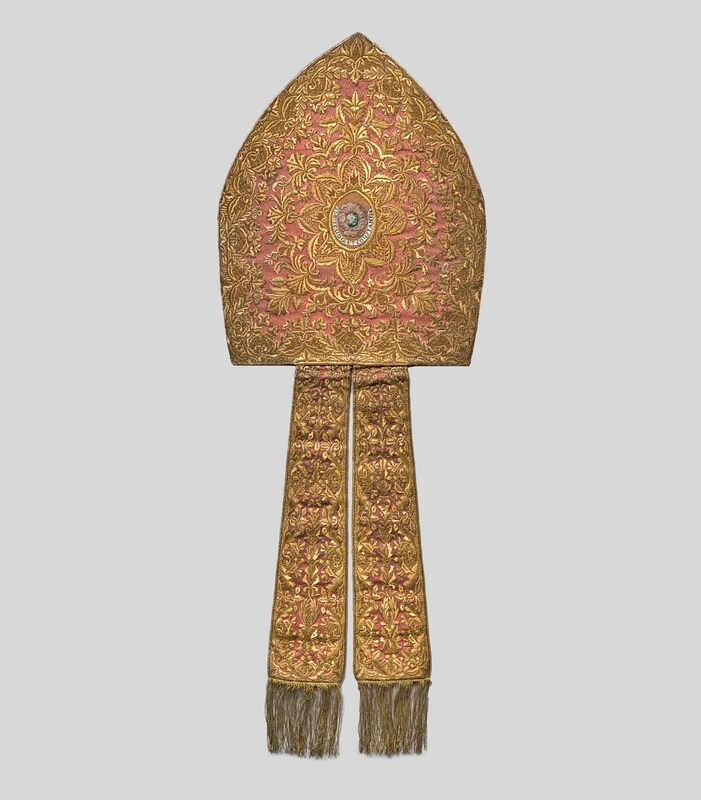 Precious secular silks adorned with a variety of designs frequently function as the base material, which is then elaborately embellished with appliqués, lace or gold-, silver- and silk embroidery to produce opulent textile works of art. The leading benefactress in the 18th century was Maria Theresia (1717-1780). 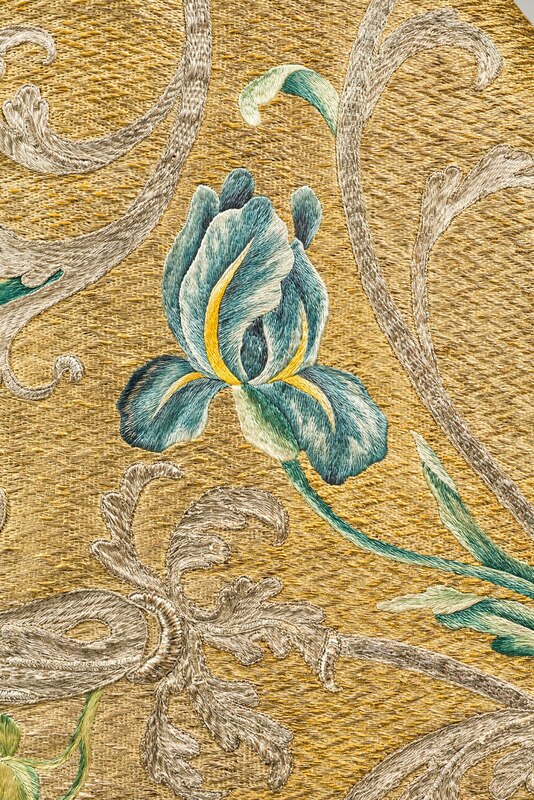 She donated precious textiles for use in the imperial palace chapel and the chapels of the different imperial summer residences at Schönbrunn, Laxenburg and Hetzendorf, as well as in St. Augustine’s church in Vienna. The latter evolved into a major stage for Habsburg piety. Here newly-appointed bishops were invested. 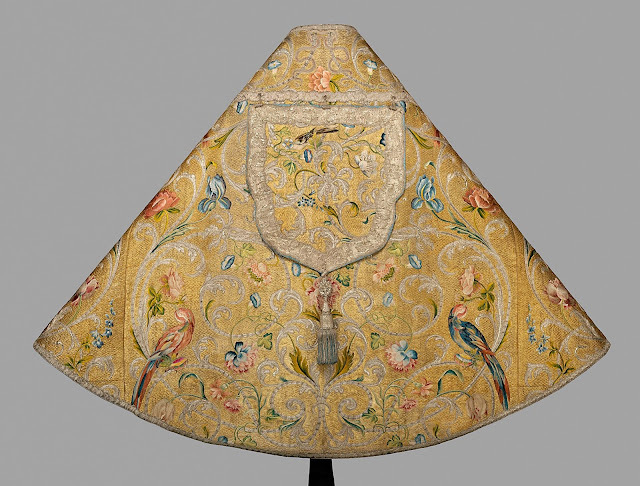 All these places were lavishly appointed with sumptuous ecclesiastical textiles. 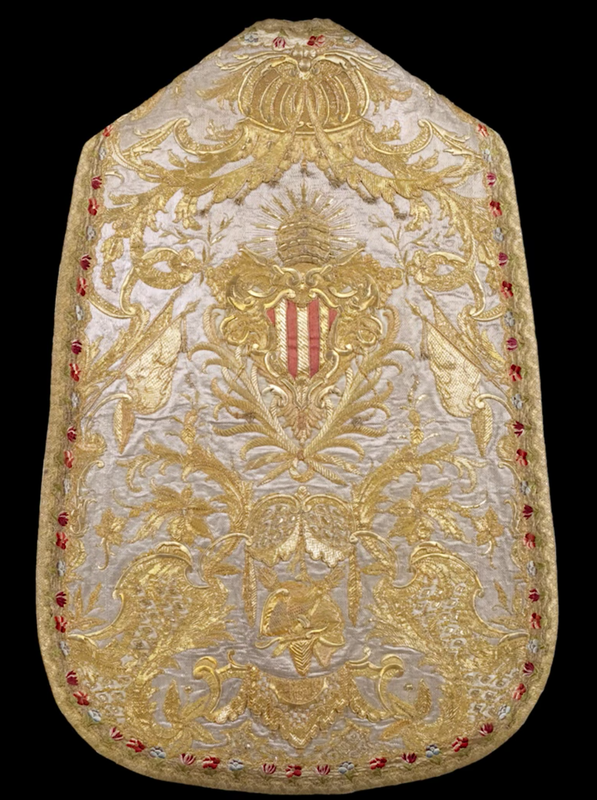 The Imperial Treasury of Vienna made a number of press photos available of some of the exquisite vestments displayed in this exhibition. Cope donated by Elisabeth Christines (1691–1750), the wife of Emperor Charles VI. 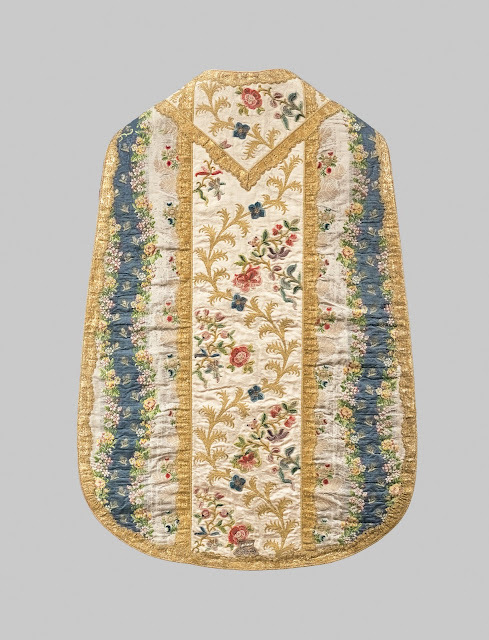 Chasuble donated by Elisabeth Christine (1691–1750), the wife of Emperor Charles VI. Black chasuble donated by Maria Theresia (1717–1780). Chasuble donated by Maria Theresia (1717–1780). Produced in Vienna, 2nd half of the 18th century. 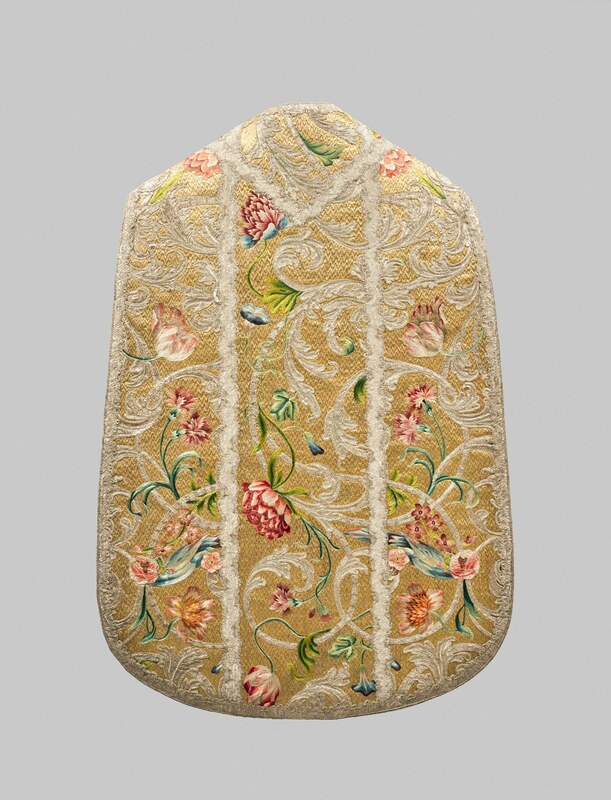 Chasuble donated by Maria Theresia (1717–1780),. Produced in Vienna, 1778. Mitre donated by Emperor Charles VI (1685–1740). 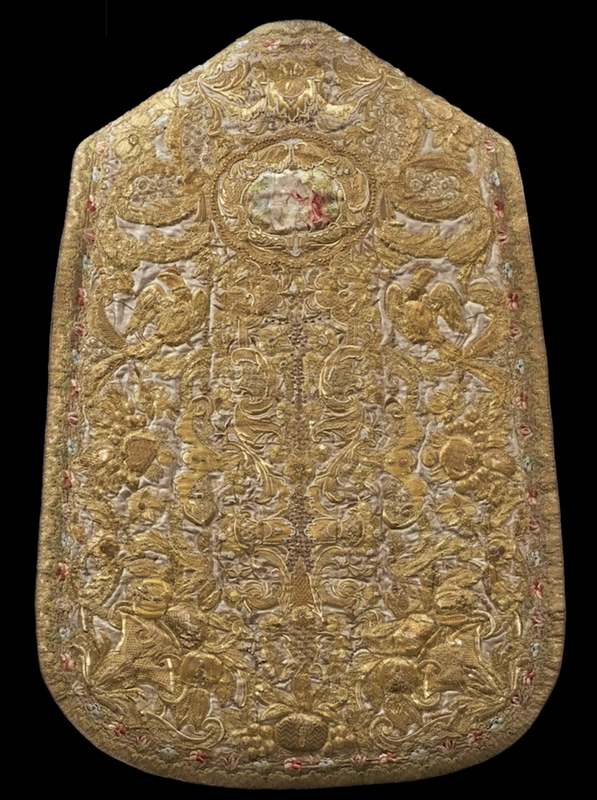 To learn a bit more about the exhibition and the vestments of the Imperial Treasury of Vienna, do watch this short video. (You may turn on English captions).